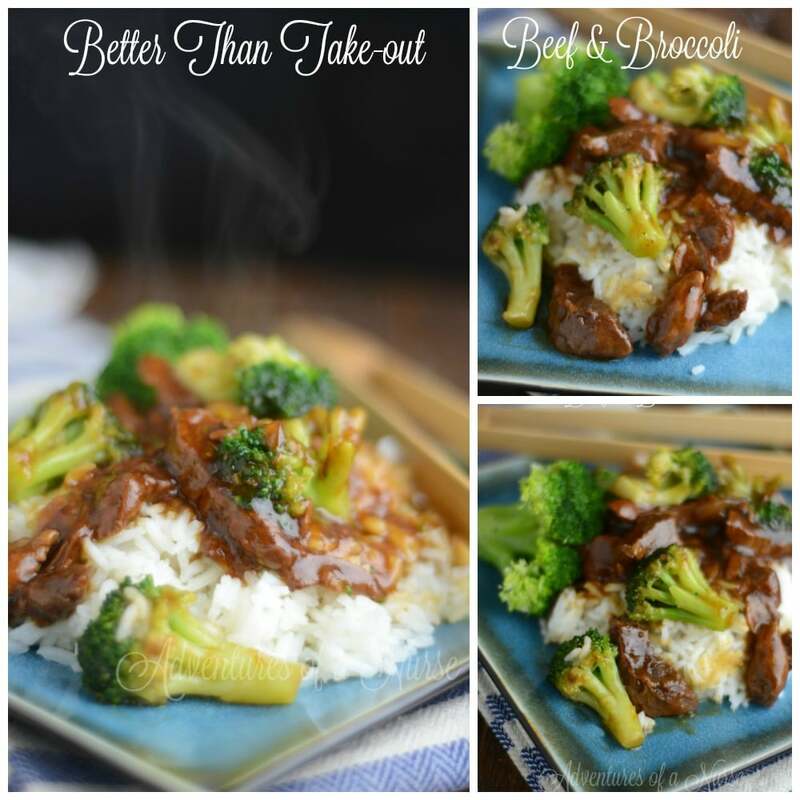 Instant Pot Better than Take-Out Beef and Broccoli truly is better than take-out! You have thinly sliced beef that is so tender and juicy, that soaks up the gravy marinade, that is a mixture of soy sauce, sesame oil, beef broth, garlic and more. It offers that rich flavor with just a slight sweetness from the brown sugar. This Better than Take-out beef and broccoli is in the constant meal rotation in our home. This is one of my husband’s favorite dishes, and I can’t complain because it is scrumptious but so quick and easy to make. It uses simple ingredients which you can find in pretty much any grocery store and comes out so juicy and flavorful each time. I have made so many recipes over the years where it claims to be as good as the restaurants and it always falls flat. 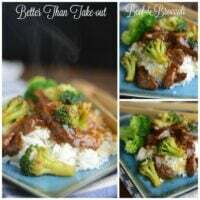 This better than take-out beef and broccoli recipe truly picks up all the flavor notes in the traditional dishes you can get in restaurants. It took me awhile to pinpoint the exact amounts of ingredients to make it the best, and I finally mastered this dish! It is affordable to make, and just as good as restaurant quality. Believe me, this recipe is so simple thanks to the Instant Pot. It cooks the beef and the broccoli to the perfect temperatures so you truly enjoy every savory bite of this dish. Flank steak, flat iron, or sirloin are the three cuts of meat I recommend. You can find all of these easily at your grocery store. Flank steak can be a bit pricey but sometimes you pay a higher price for meat like flank, will leave you with that melt-in-your-mouth tenderness you desire. I also really love flat iron steaks, they are so juicy and offer a perfect marble color for the perfect mix of meat and fat content. Some grocery stores with a meat market can cut any steak you want for free. I like to ask if they will thinly slice the meat for me if I am in a hurry and don’t have the time to do it before I need to prep dinner. The steak you use will affect the flavor of the dish slightly if you buy a cheaper grade of meat it will still be as tender because of the magic of the Instant Pot. The marinade for this will help break down the meat, but it will only do so much. I hope you all enjoy this better than take-out beef and broccoli as much as our home does. The instant pot version wins the gold star for us, it truly makes the dish cooked perfectly. Bon Appetite! Have Mouth watering Better than Take-out Beef & Broccoli in under 20 minutes. Place oil and meat on saute in your pot. Until meat is brown about 1-2 minutes. Add in onions and garlic continue to saute until onions are tender. Stir in brown sugar and stir until dissolved. Place IP on 10 minutes high pressure and do a natural release. Mix 2 tbsp water with 1 tbs cornstarch and add to your mixture. Meanwhile, steam your broccoli and cook your rice according to directions. Stir in the broccoli and serve over rice. I hope you enjoy this as much as we did. ← Previous Post Are There Chemicals in Your Mattress? Mmm.. this sounds tasty! Good combination of ingredients and I think my kids would eat this too (they can be a bit fussy). This looks amazing! Definitely trying it out. I love my Instant Pot. So excited it can replace take-out food! Looks great thanks for the recipe. How marvelous, a home favorite and so simple! My mother would love this, will definitely be making it for her. Thank you for sharing. This is so going to be dinner tomorrow! This looks amazing! We order Chinese out a few times a month and this is one of my favorite, but after seeing this, I am going to try and make it myself instead of ordering out. It really looks inexpensive and easy! This looks delicious and I’m sure it’s much healthier than take out as well. They use so many unhealthy products in their food. Can’t wai to try it! Sounds yummy I think I shoudl try this. I made this tonight. It was a hit with everyone even my picky kids. If I double the recipe for my 8 quart do I double the liquid? I tried to double another recipe and it came out watery? I love my 8 quart but I am still trying to figure it out. PS. What kind of meat did you use? Question, do you wait until the natural release is done, then open and mix in the corn starch mixture? Thank you!! Do you just mix in or place the IP on saute to thicken? Can I use frozen meat? What about the sesame oil? It isn’t in the directions. This was delicious! I did cook the broccoli by adding it to the cooked meat, and using pressure for one minute (shut it off once it hits pressure). I also added a tablespoon of hot sauce, and used gluten free soy sauce. Can the sugar be substituted with anything else? I would like to have an answer to this question also. Every recipe I see for Beef and Broccoli or Mongolian Beef seems to have a larger amount of sugar than what I want to eat as I am diabetic. I am wondering if it can be left out entirely or possibly just use a tablespoon? When I order Chinese for take out they make mine without sugar. Yes you can try it without the sugar I made it like that for my husband before. How many people does this feed? Trying to calculate weight watchers points ? This is my family’s FAVORITE Instant Pot Recipe! We love it! Thank you!! you are welcome! This is my husbands favorite also. How many does this feed? Like someone else, I’m trying to calculate the WW sp. Thanks. This is excellent . I add some crushed red pepper for a little spice . I was wondering if you could tell me what type of steak you used ? I’m really wanting to try this recipe but don’t know what cut of meat works best for the dish . This is one of my favorite instant pot recipes. It is sooooo delicious. Our family loves it. I have 2 instant pots so I cook my rice in the other one while my beef is in the other. Thank you for sharing. When you are sautéing the meat, do you cook it all that way through until there is no blood, or are you just browning the outside for extra flavor? I’m very new to using an instant pot and don’t want to over cook the meat. Thanks!! Just brown the outside for extra flavor. This was delicious! I went ahead and added ground ginger to it and liked it even better! 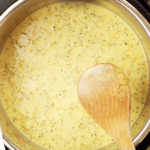 Can you steam the broccoli at the same time using the pot in pot method? Does this recipe really need that much oil? I have looked at similar recipes that only use 1/3 the amount of oil. Do you have to use an instapot? I am wondering if you steam broccoli in a separate pot not in the instant pot? I know I will cook rice in my rice cooker but was hoping broccoli and meat could all be cooked in one. I made this tonight. I used gluten free soy sauce added some ginger powder and didn’t have sesame oil so I used olive oil and coconut oil and it came out AMAZING! This was the first meal in a long time that everyone loved even my picky in laws! Next time I was to try it with chicken. Thanks for a great recipe! Thank you so much for this recipe! I just made this as my instant pot debut. I added ginger, shiitake mushrooms, red pepper flakes and about a Tbs of oyster sauce and used thinly sliced ribeye. My family couldn’t believe I made something do delicious so fast!!! Can’t wait to try more of your recipes ? Do you brown the steak whole or do you cut up the steak into small pieces before cooking? I have made this twice and everyone LOVES it! I used aminos in place of soy sauce and coconut sugar in place of brown sugar (could use arrowroot in place of cornstarch). I have a friend without an instant pot, how could you convert to a slow cooker or stove top? Thanks for any guidance. Thanks again for this awesome recipe!!! I make this at least once a month. We have a big family, so I double the meat, triple the broccoli, but only add a little extra liquid. A couple of things we do: i slat, black pepper and white pepper the meat as I slice it. I add a big spoon of crushed chilis to the liquid. I also add fresh minced ginger with the garlic. 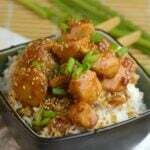 I use green onions instead of a white onion. I mince the whites to use in place of the white onion and then we garnish the finished meal with the sliced greens. We also top the finished product with sesame seeds. Has anyone doubled the recipe? If so, does it change the cook time? Excellent taste. Mine didn’t thicken with the cornstarch. Any tips on what I did wrong? Mine also didn’t thicken at all with the cornstarch….wonder what happened?? But the flavour was excellent the while family lapped it up. I have a pressure cooker. Do I have to adjust the times? I don’t have a high and low button. You must have the LUX which is only high. So good! 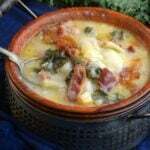 Husband said, please make this again! Love your recipes. Approximately how long does this take to come to pressure before the 10 minutes starts? I am new to the IP and this is my biggest issue… I have trouble with the timing since recipes never seem to mention approx how long it takes to come to pressure. Thanks! Wonderful! This is a new favorite. Add some hoisin sauce to it, it makes all the difference. Perso ally, before it, it tasted too much just like beef gravy. I followed directions to a T otherwise. Trying this tonight!!! So excited, may just be me (and my beginners knowledge lol) but it’s taken 20 minutes alone just to complete its natural release and it’s still not done. Any tips? My IP takes between 20 & 30 minutes to naturally release depending on what I have cooked! I have not tried this recipe but tomorrow will be the day to do so. Made this yesterday for my first Instant Pot use, (excluding water test,) and it turned out great. My step-son said it was as good as take out, my husband on the other hand said it was BETTER than take out. He says I can make this anytime. Score! I added a bit of hoisin sauce prior to cooking to give it a little extra pizzaz. YUMMO. Tasted very good, will definitely make again, I had to add more cornstarch to get it to thicken up more and I plan to add some carrots as well next time. Highly recommend!! This is an INCREDIBLE recipe. I decrease the brown sugar a bit to suit our taste. We eat it once a week, it’s that good (and easy)! I added more broth for extra gravy and cooked the frozen broccoli on sauté with the finished meat and it came out great!! Crowd pleaser too! Are you listing tbs as Tablespoon or Teaspoon? You have both tbs and tbsp, but tsp is normally teaspoon. Wow that’s so much oil though. Is it necessary to use that much? No criticisms here, I’m just trying to cut out some of the fat in my diet. I am wondering this also? Should it be teaspoon (tsp) or Tablespoon (Tbsp)? This turned out very good. I used round steak, cut against the grain, 1/4 in thick. I did need to double the amount of corn starch to thicken it.? why are there 2 different oils? are we supposed to mix the two? or use one or the other? sorry new to instant pot. Great recipe! I made a few adjustments for my household, gf low sodium tamari instead of soy sauce and coconut sugar instead of brown. I used 2or 3 tablespoons of cornstarch slurry to thicken it and added some sriracha at the end. Delicious! Thank you! New to cooking with the instant pot. This recipe is a definite keeper! My husband loved it also. Thanks! Does it matter what type of steak I use? Honestly thought how s would be sacrilegious because unusually stir fry in a wok. I was wrong! Was soooooooooi good! I usually stirfry in a wok” and thought the Ip would be “sacrilege” – but I was wrong! Have you used frozen meat before? That’s usually my problem I have the meat it’s just frozen, this is why I got insta Pot. I also have sirloin steak tips/strips, that should work? What do I need to do to steam the broccoli in the instant pot? We just made this meal, at the end with the broccoli we also added shredded carrots, bamboo shoots, and water chestnuts…would that be the reason the sauce isn’t thickening? I’m a huge fan of broccoli beef. It’s pretty much the only Chinese food I ever eat, and this is hands down the BEST I’ve ever eaten. I couldn’t put the fork down last night. Thank you!!! I used coconut aminos rather soy sauce as that was what I had. I found the meat to be tender and tasty but the sauce was too sweet. I will make it again but next time I will use less sugar or just soy sauce instead of the aminos. This was a hit. Thank you! I had to make a couple changes based on what I had on hand, but they weren’t too drastic. I used venison loin as my meat…sliced very thin, cooked up perfect! I also had to sub the beef broth. Somehow I had no broth or bouillon. I used half packet of onion soup mix and 3/4 cup of water. My LO asked if he could eat it tomorrow and I had to break the news there was not going to be any leftovers. If you replace the meat with chicken, how long do you set the Instapot for? Can you then do a quick release since chicken cooks quickly? Can New York strip steak cut into thin strips be used? Best ever!! My toddler and hubby had seconds. Will make again but this time with chicken, snap peas and carrots instead of broccoli. Thanks so much! Great flavor with minimal effort/time. Loved it. I am confused, is tbsp tablespoon? If so what does that make tbs? This is a new staple in our house! We make it once a week (sometimes change it up with chicken)! So yummy! This was really good. My boyfriend has never had it and said it was awesome. I paired it with roasted potatoes cause he’s a meat and potatoes type. I also added shrimp and steamed it with the broccoli. Was a win in this family. To make this truly a one-pot meal, how would you cook the rice and the broccoli in the instant pot? Could you do pot in pot? And if so, how? It improved a lot after adding oyster sauce. FYI, when I use the link I saved for this recipe to recommend it to others, it only loads your home page not the recipe. This problem has been going on for over a week. This makes it hard to recommend any of your recipes. Yum That was good. And I didn’t have to tweak anything! not even salt! Perfect, tasty recipe. 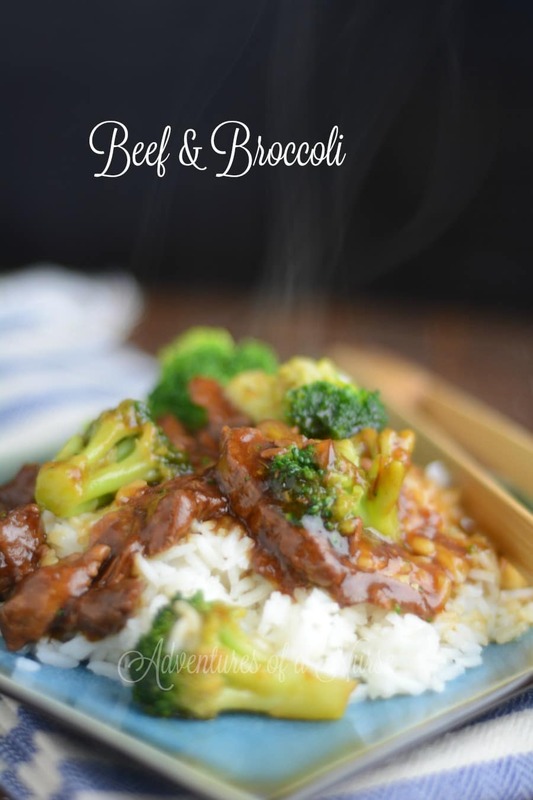 The last beef and broccoli recipe I tried was bland and barely a hint of asian cuisine. Thanks for sharing this with us! Made this tonight and the family RAVED about it. I used cocnut sugar and reduced by about 1/2. Braggs Aminios sub for Soy sauce and 2T Arrowroot sub for cornstarch. Please make this again said my teens, I will! Tasted great but meat had more of a stew texture, no slight firmness. Should I not have done natural release or shortened cooking time? You don’t mention anything about how to prep the onion or garlic – smashed, chopped, minced…what size? This was good but in my opinion it had an overpowering taste of something that I can’t pinpoint. Maybe it was the sesame oil? It almost tasted like coffee?? Next time, I’ll try using just olive oil. What is the most tender steak to use with this? I don’t like “chewy” meat. Thanks…..this looks awesome and I can’t wait to try it!